Decisions have consequences; wise choices must be made when conversing with possible allies during intricately crafted dialogues. 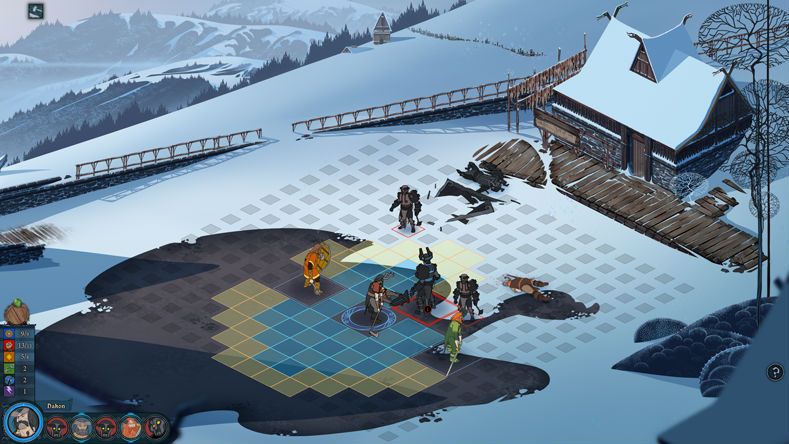 Turn-based strategy brings tactical challenge in hand-animated battle sequences. 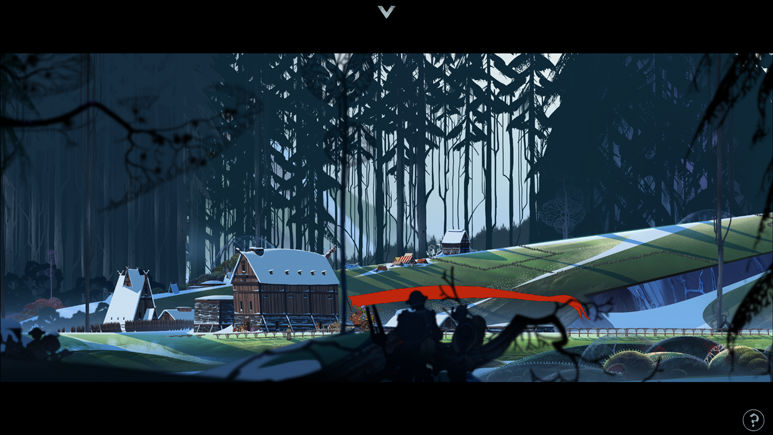 With visuals evocative of the golden age of animation, The Banner Saga brings skillfully crafted art, story and strategy to gamers waiting to re-experience classic adventures and tactics. Player choice that drives your narrative Every decision you make in travel, conversation and combat has a meaningful effect on the outcome as your story unfolds. Over 25 playable characters from 2 different races, human and Varl (horned giants) Embark on your epic journey with a variety of characters from 7 different classes, each with unique abilities and upgrade options to fit your play style. Strategic combat with consequences Victory or defeat and even the permanent loss of a character depends on which characters you choose to take into battle and what tactics you employ while in combat. The journey is half the battle Your role in building and managing your caravan as you travel the vast frozen landscape is critical to not only your own survival but the survival of an entire civilization. An epic Viking saga brought to life in 2D glory Beautifully hand drawn combat sequences and animations, accompanied by an evocative score from Grammy-nominated composer Austin Wintory, will immerse you into a fantasy realm based on Norse mythology. Multiplayer Combat Enhanced Sharpen your combat skills in the free to play “Factions” multiplayer game.